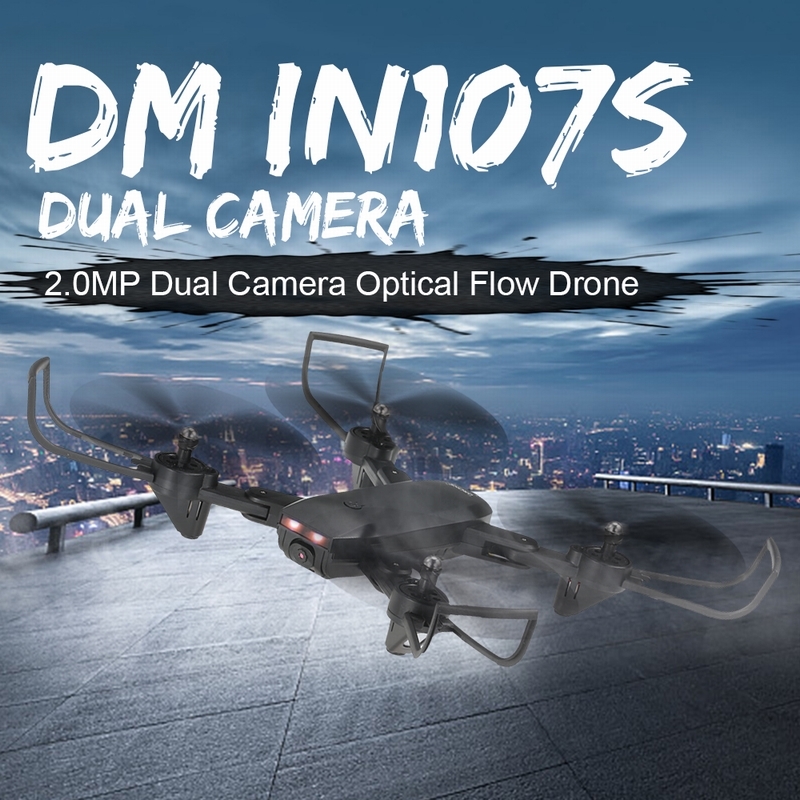 With optical flow and dual camera, this new DM IN107S is much more powerful and functional than the old version. 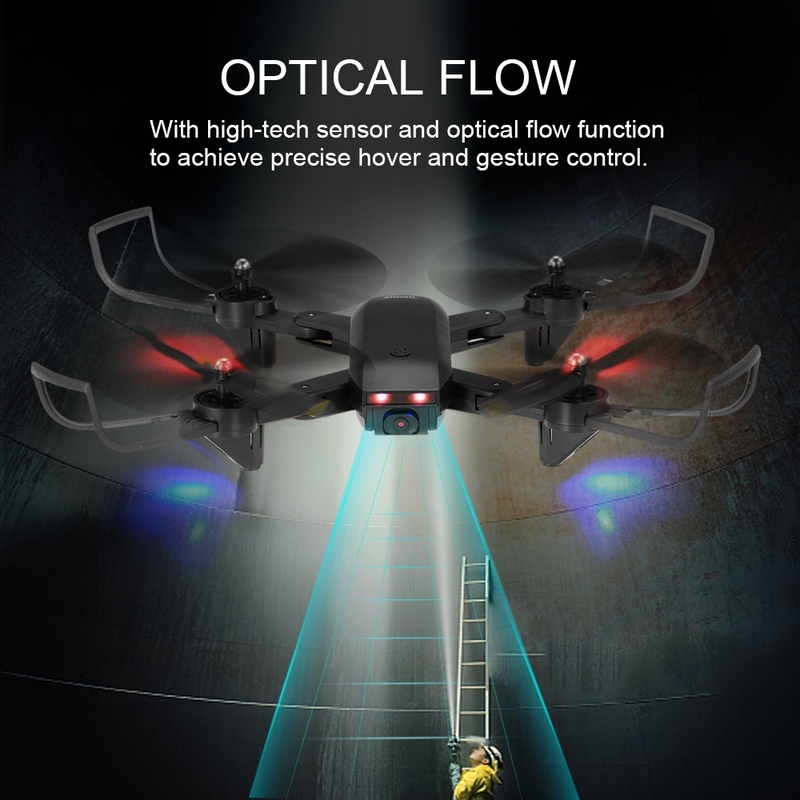 With optical flow the drone will hover much more stable and the optical flow camera can also be used to take photo and record video, to get a unique downward view, and both cameras are 2.0MP and super clear. 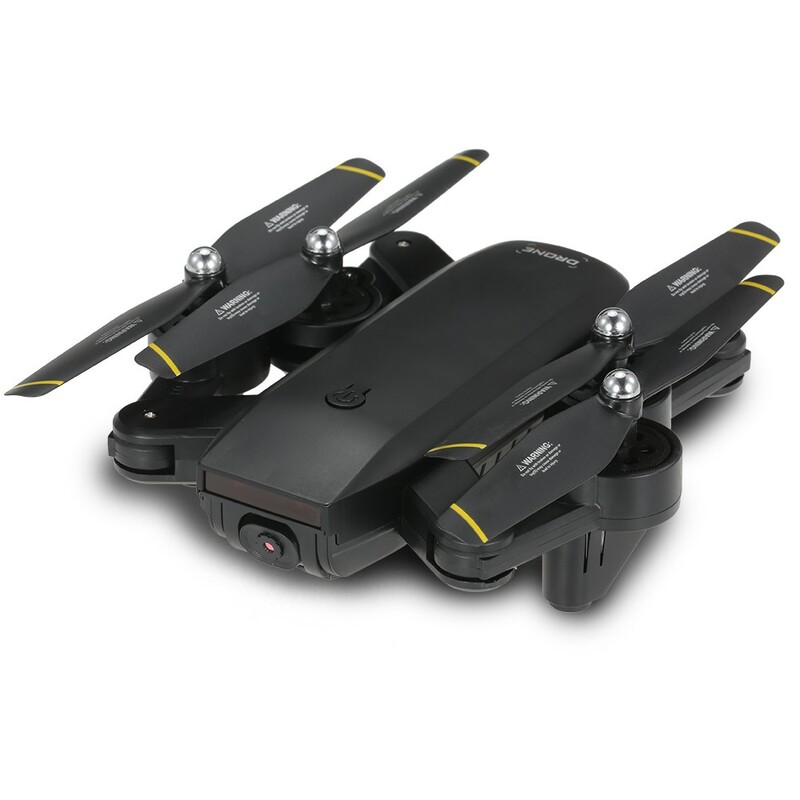 It also has the function of 3D flip, G-sensor, point flight, headless mode, one-key take off/landing, and auto return etc. Just take it home and have a wonderful flying experience! The phone is not included. 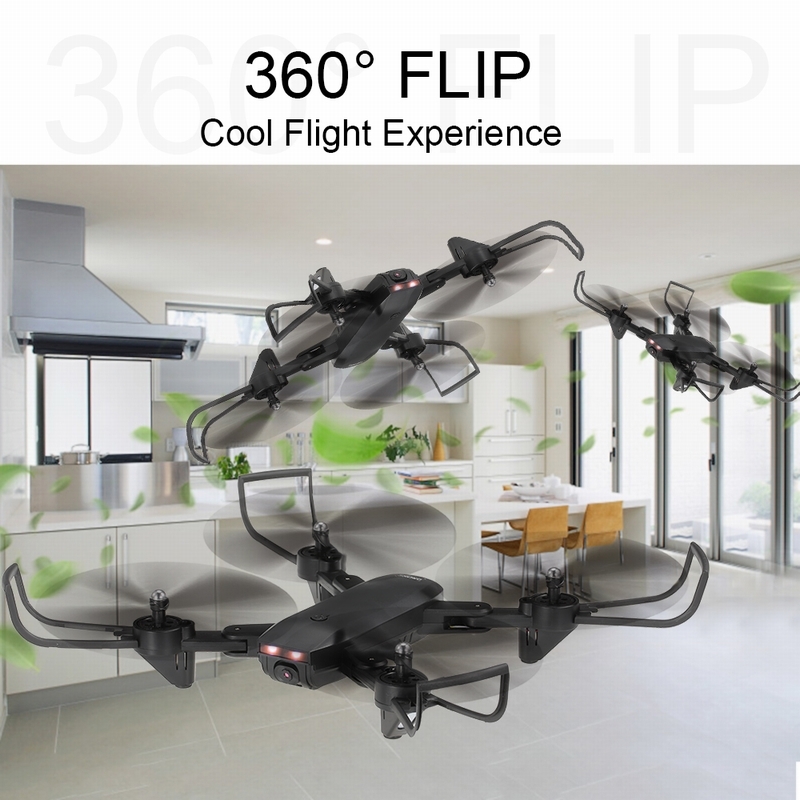 3D flips and headless mode with amazing agility provide a stunt aerial show. 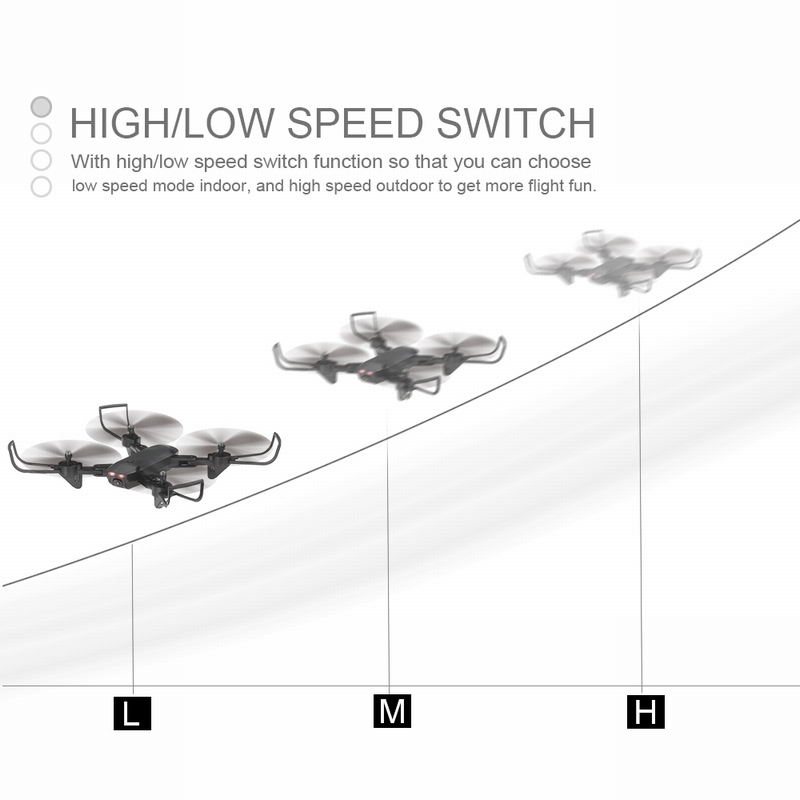 High/low speed mode, quick switch for you to experience cool flying play. 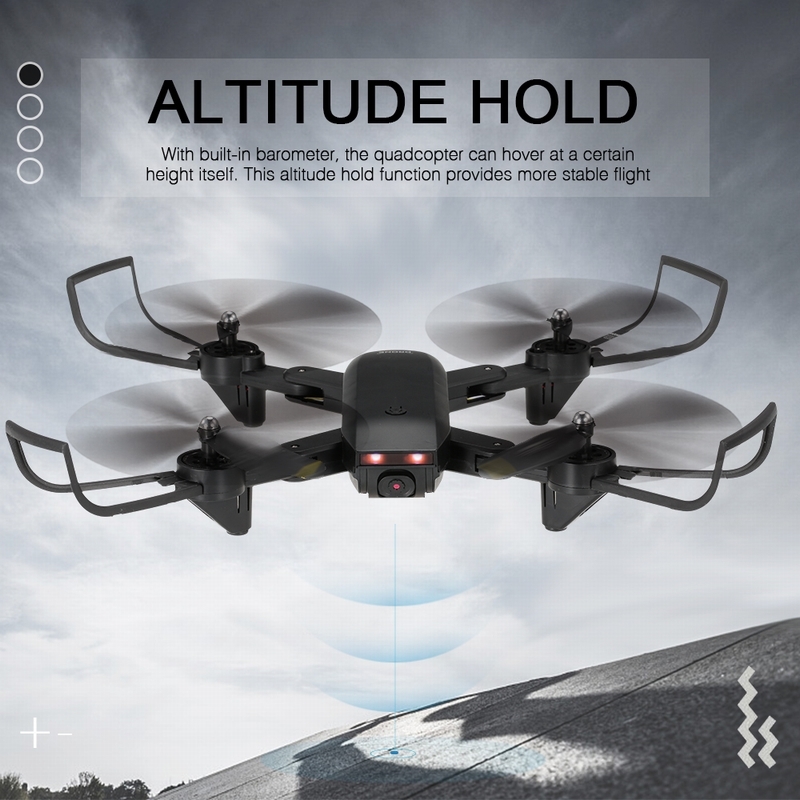 Altitude hold and one key take-off / landing and headless mode functions make the operation more convenient. 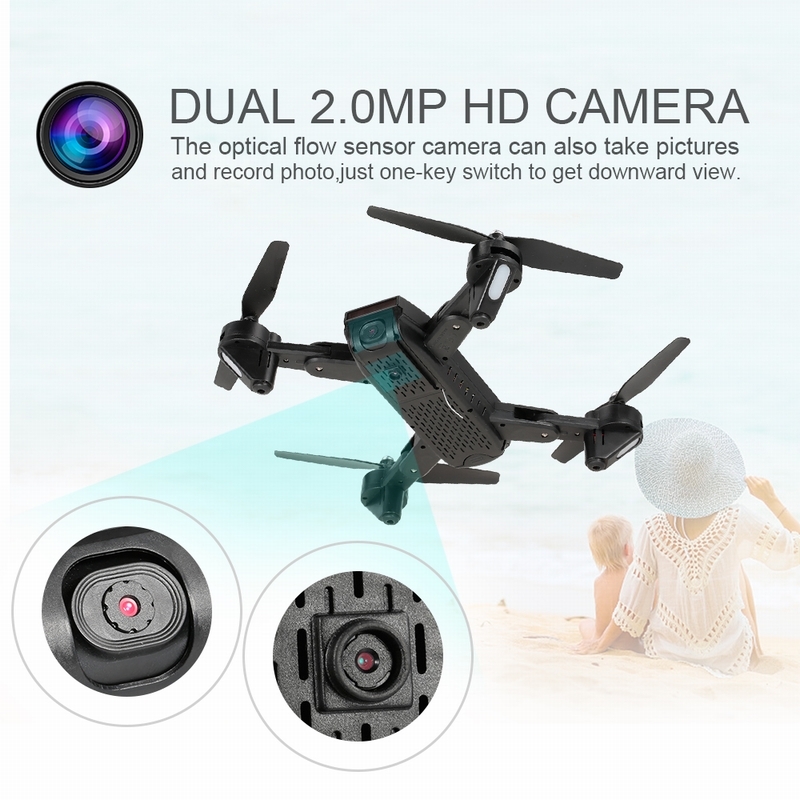 2.0MP HD front and downward dual camera with WiFi FPV free to switch to get different view. 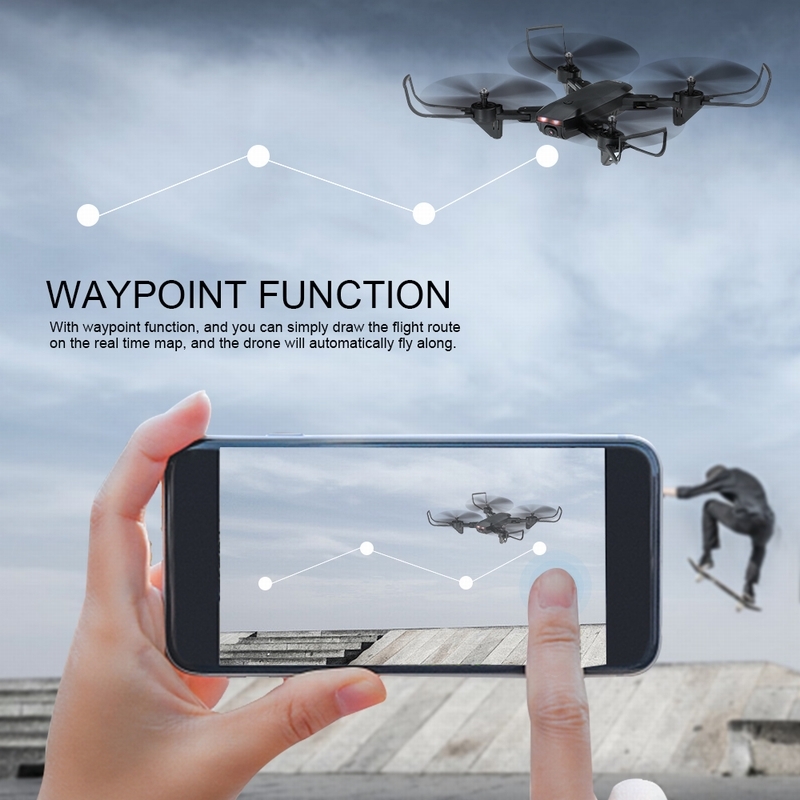 Point flight function enables you to fly the drone according to some path exactly as you set the path on your phone. 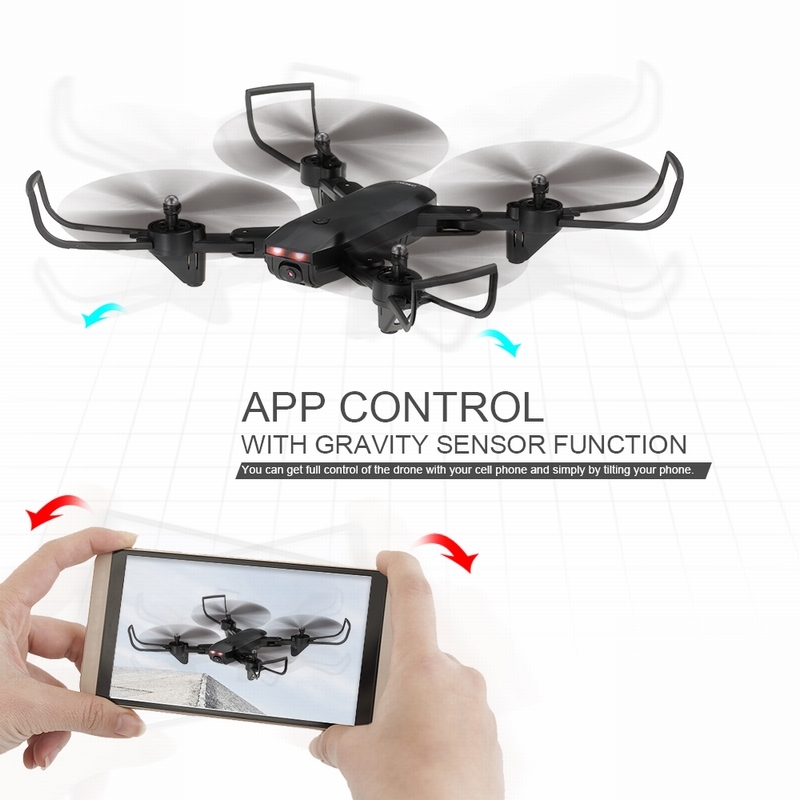 The G-sensor mode enables you control the quadcopter by the way you tilting your smart phone. 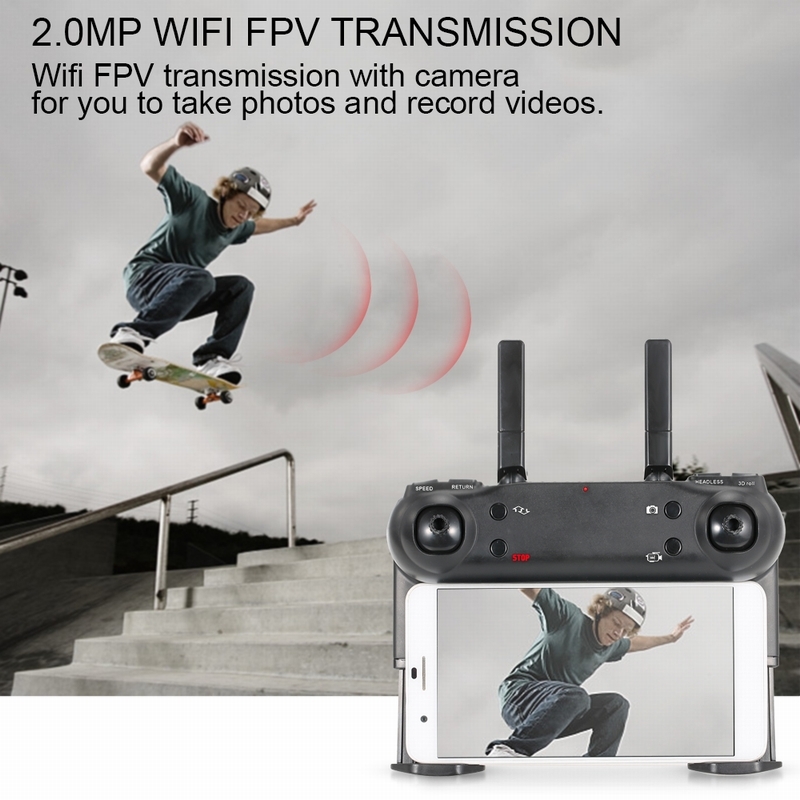 The photo and video can be save into both TF card and cell phone, the TF card is not included. A Sorry, only batteries with website packaging list are available. Batteries are not sold separately. Thank you for understanding. Q I look this is very similar to xs809hw. 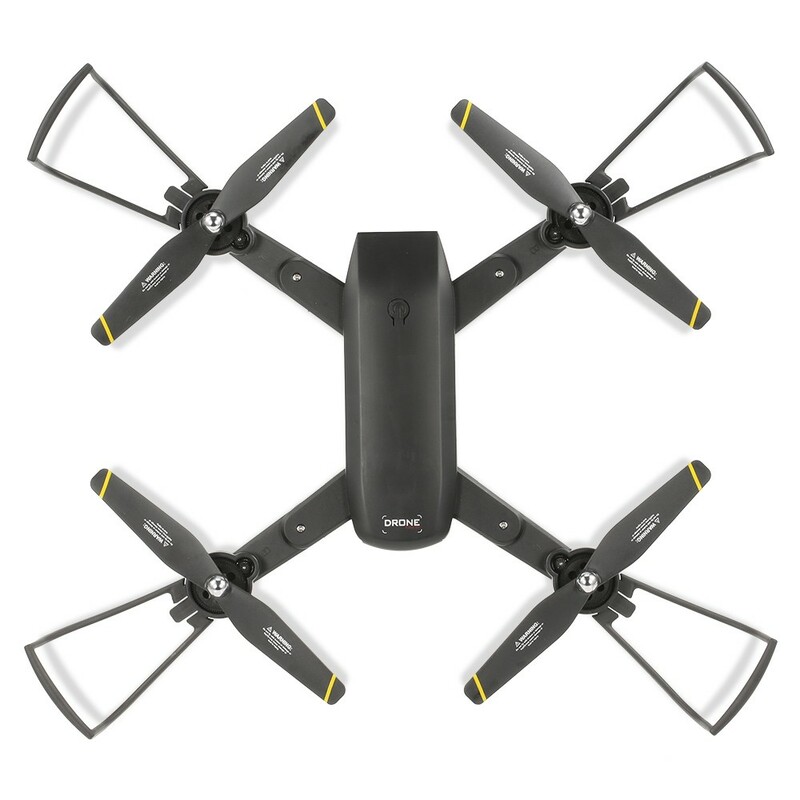 Can I use my xs809's battery and propeller for this? A You'd better not.It's very dangerous. 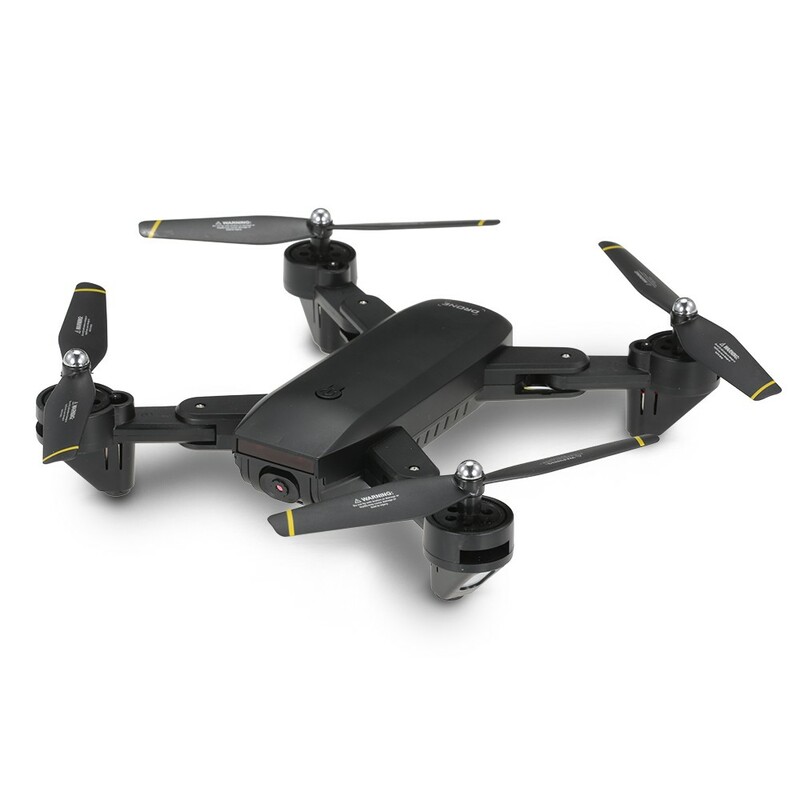 I so far really enjoy this drone because of all the features it has. 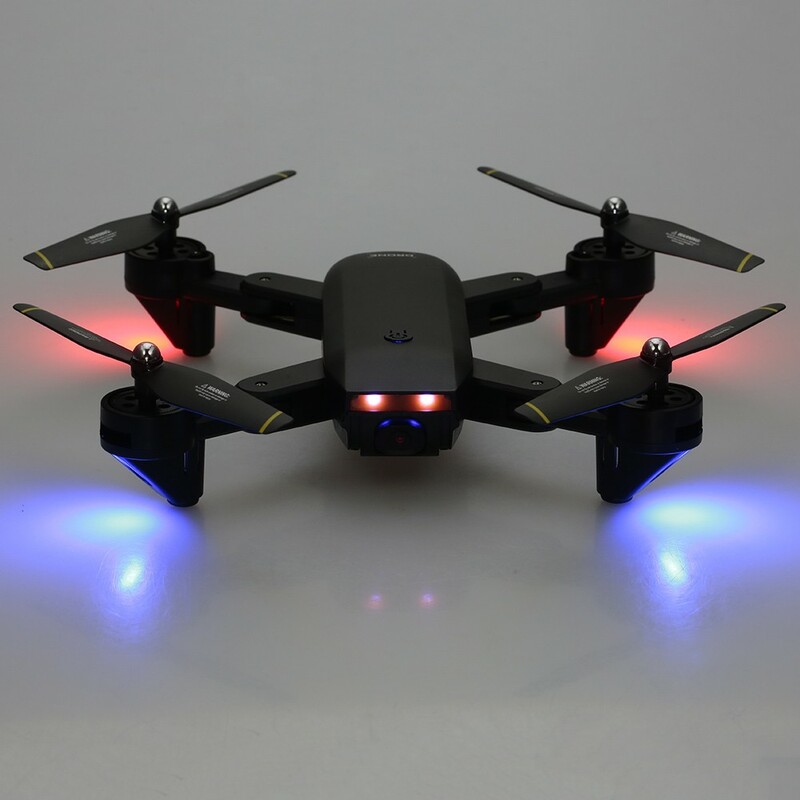 This drone is easy to fly yet has features that the higher end ones have. The return home feature is nice. 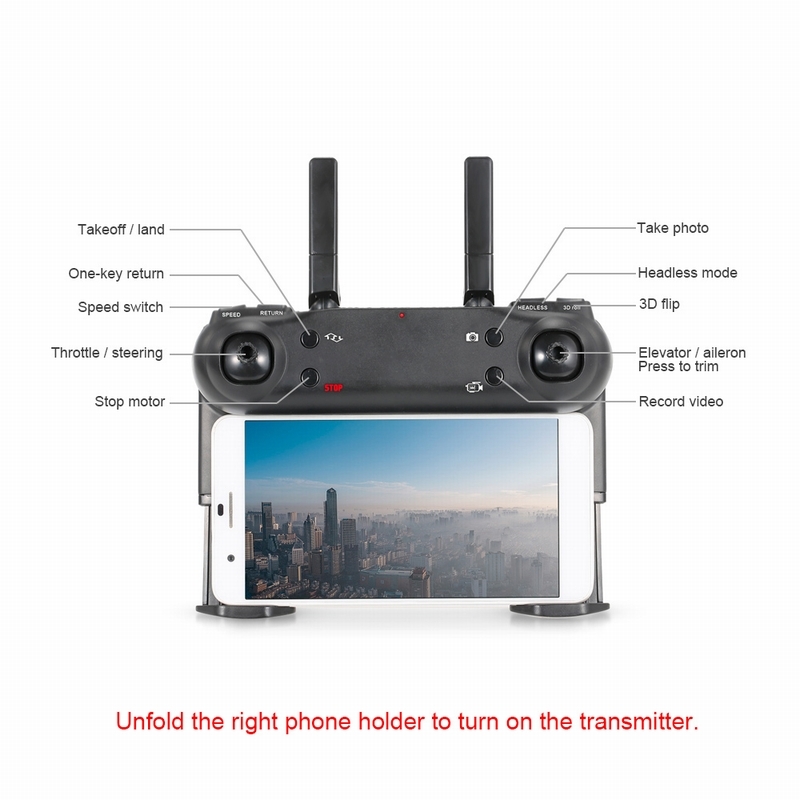 This is a good drone for beginners and more advanced drone fliers. I have made a step up with this drone. This drone holds position very well. I can concentrate on my video or pictures I am trying to take while the drone fly's itself. "Return to home" works very well also. 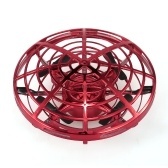 This product is everything as described and more, easy to assemble and fly, takes great pics from any altitude. Easy to follow instructions. 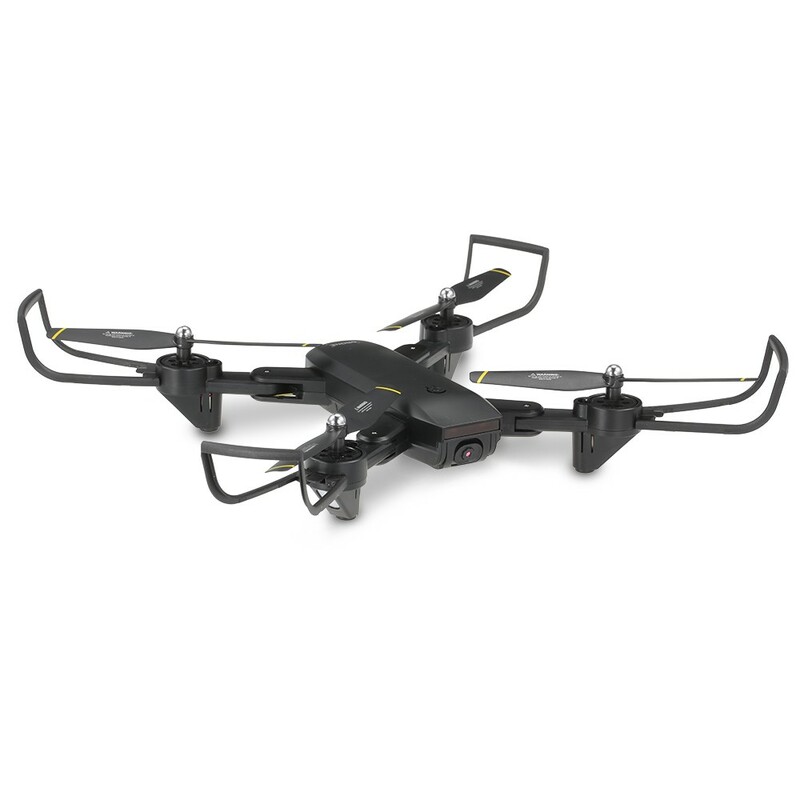 A great drone at a good price, even for a beginner. 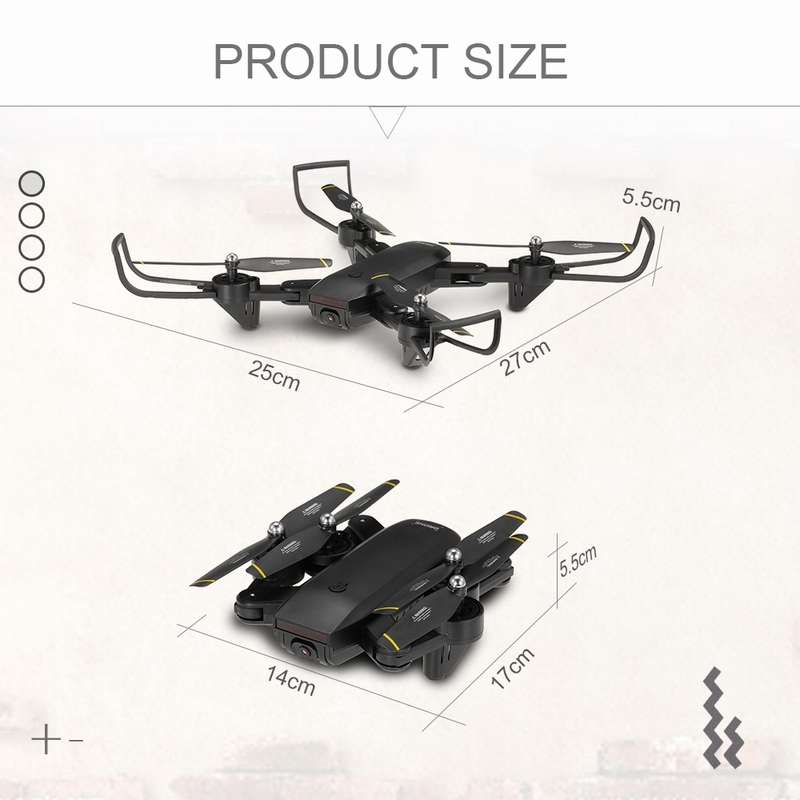 Only down fall is the short battery life on the drone but the manufacture does say that it the description. 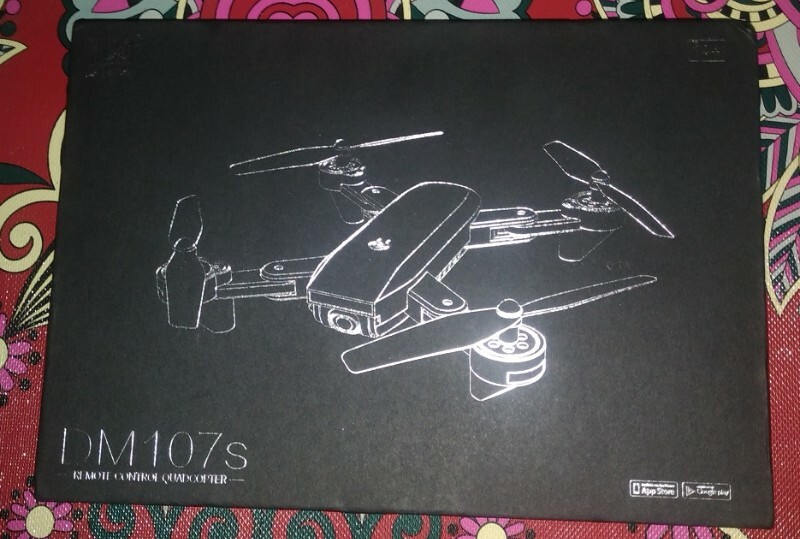 My first real drone, I'm not very experienced but the beginner mode on this drone is fantastic. Was a little windy but this thing handled it well. Got some great video around my parents farm. I can't wait to work my way up to some of its longer higher flight. 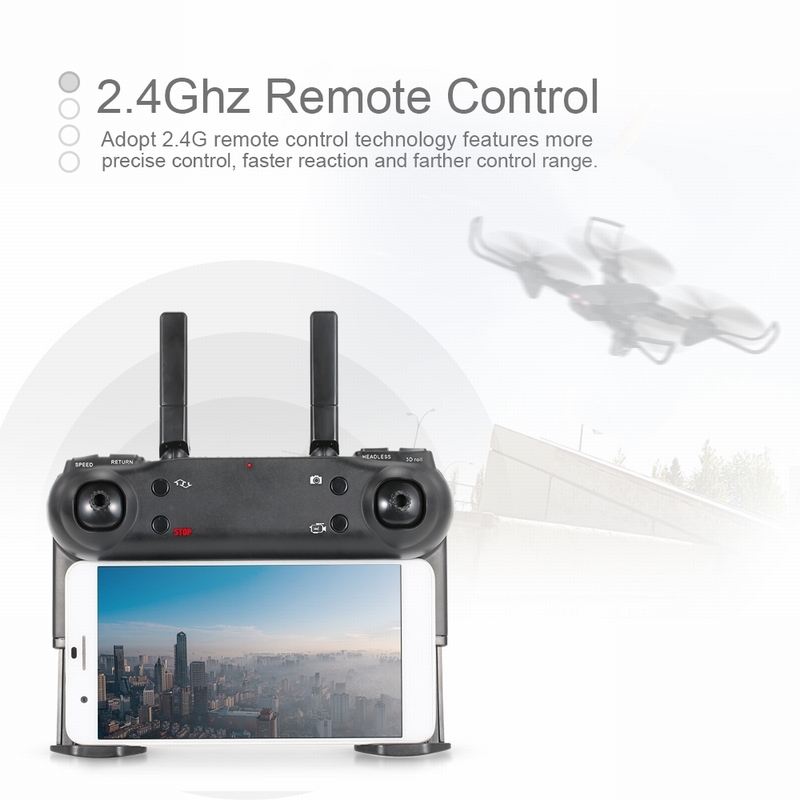 I'm sure expirenced pilots as well as amateurs like me will love this drone as I do. 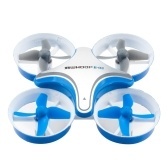 This is a really cool drone. I recommend this one for those who are ready to begin upgrading from beginner to hobbyist. 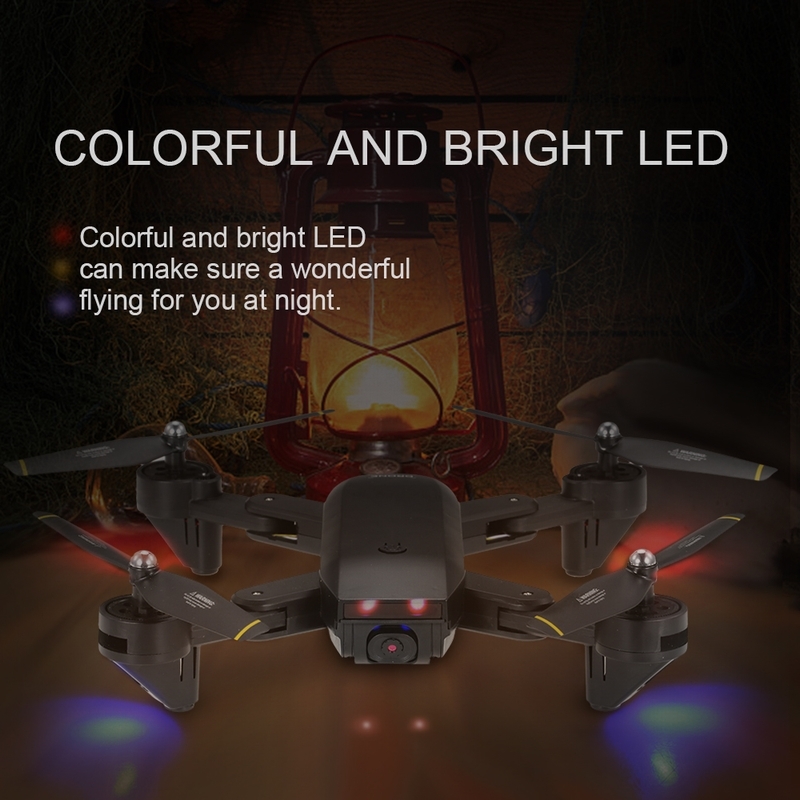 It has an intelligent flight battery for approximately 15 minutes, —however I Recomend getting another battery to minimum the wait time to full charge. This is my very first Drone and I can't tell you how much fun it is to play with. first it took a only a few minutes to put it together. plus the Battery was already charged so I was flying within a half hour. I figured I would get it stuck in a tree or just crash it but it is so easy to use no issues. 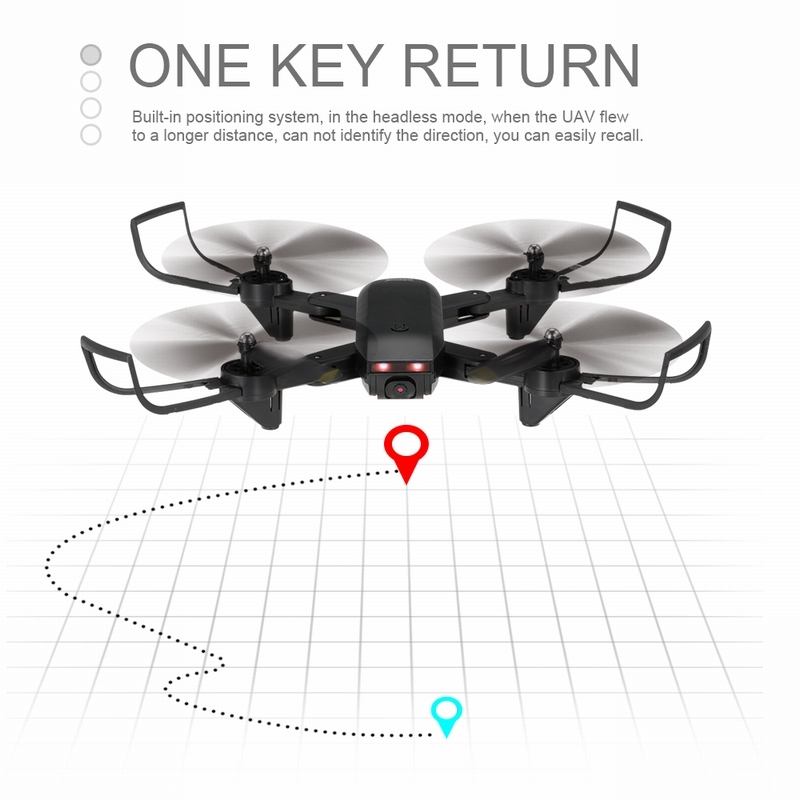 I love the fact it Uses the GPS, the drone is able to fly itself back to the "home" location, where it took off from. the Camera is so good it give you great pictures from a really high point of view. 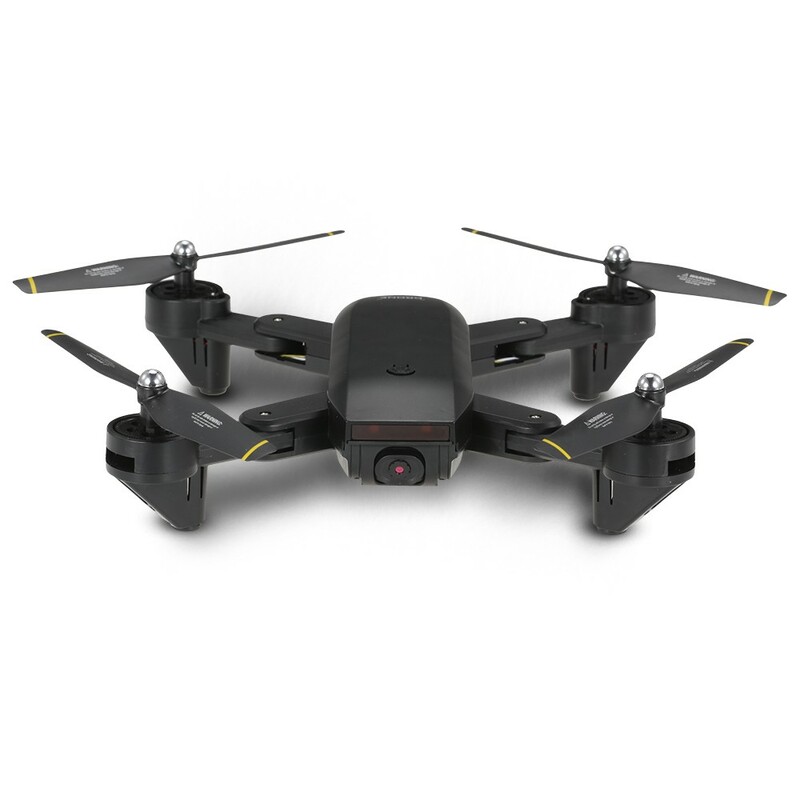 This is a very nice drone. Everything came with spare parts, so you can repair the damaged part or old part in the future. 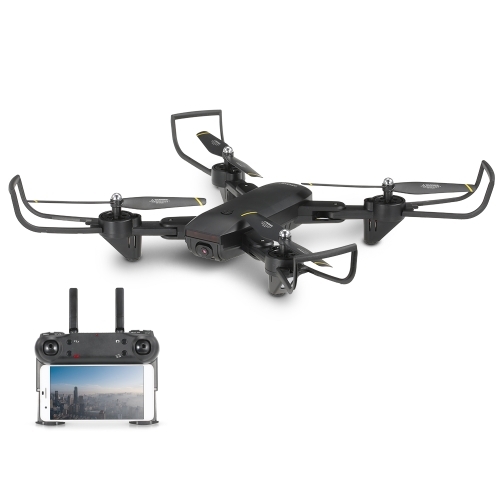 The drone also has a GPS function, it can mark the take-off location and return back to the same location when the battery was low. 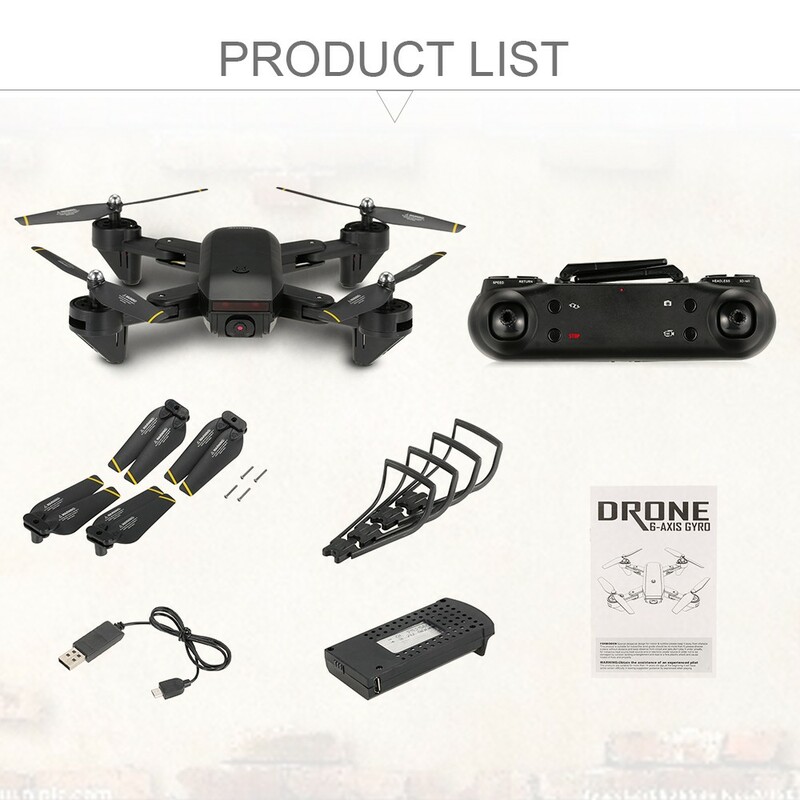 It decreased the possibility of losing the drone. I've never seen a company do more to make sure their customers are happy. This particular drone was exactly what I wanted. Something simple to use, durable, easy to master, and most importantly, fun. Well, now I'm hooked! I absolutely love this drone. 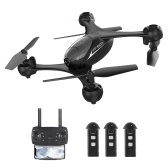 For the price, this is probably one of the best bang for the buck drones I have seen. You usually get what you pay for, but for what we wanted it for, this was perfect. 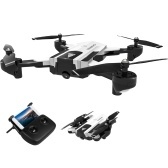 It flys well, comes with an extra battery, has a decent quality camera, has easy to use controls and features. This is my fourth drone and is the biggest I have owned. It is the easiest to fly of all of them, especially in GPS mode. The flight time is better than average though I did get the extra battery. This drone was way beyond my expectations. and all packaged in a very good manner. so far so good and I give this 5 stars. As a beginner I was concerned, but the design and engineering of this drone appears to be top notch! 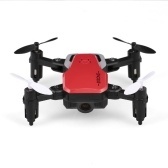 Very nice quadcopter, stable for video in low rate, quite fast in third rate, especially yaw rate. I'm enjoying it a lot. Everything is great, Price & Shipping is Good. Thank You Tomtop..